Economist Must Form Italian Transitional Government. Italian president Sergio Mattarella has instructed the 64-year-old economist Carlo Cottarelli to form a government of technocrats. It must lead the country in anticipation of new elections, reports eWorldNews. 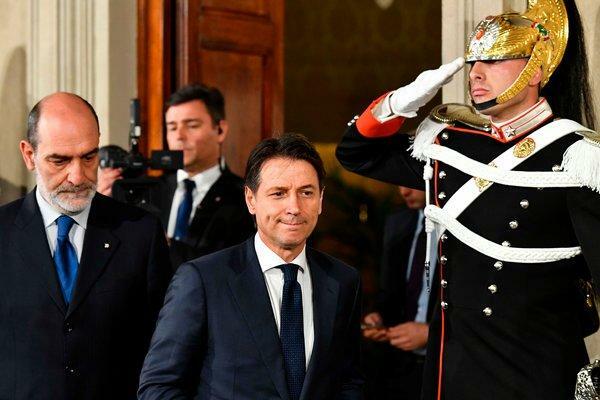 Formateur and prime minister Giuseppe Conte, who had been deputed by the radical right Lega and the populist Five Star movement to lead the country, threw in the towel on Sunday evening after Mattarella vetoed the appointment of Eurosceptic Paolo Savona as Minister of Finance. Mattarella called Carlo Cottarelli on Monday, a 64-year-old economist who earned his spurs at the International Monetary Fund. Cottarelli was director of tax affairs at the IMF from 2008 to 2013. Cottarelli has shown a distinct opponent of leaving the Eurozone. “I think moving the eurozone is a leap in the dark. I fear that the Italians will quickly exchange their new currency in euros, to be sure. That would cause screeching inflation, the prices of the products in the new money would rise. Chaos’, he said about this in an interview with De Standaard. The appointment is not entirely unexpected. Immediately after the debacle with Conte, the name of Cottarelli circulated as a new formateur. Shortly after the elections, he was named as possible Minister of Economic Affairs. If he succeeds in forming a government, it will first have to ensure that an approved budget comes in and that he prepares new elections.